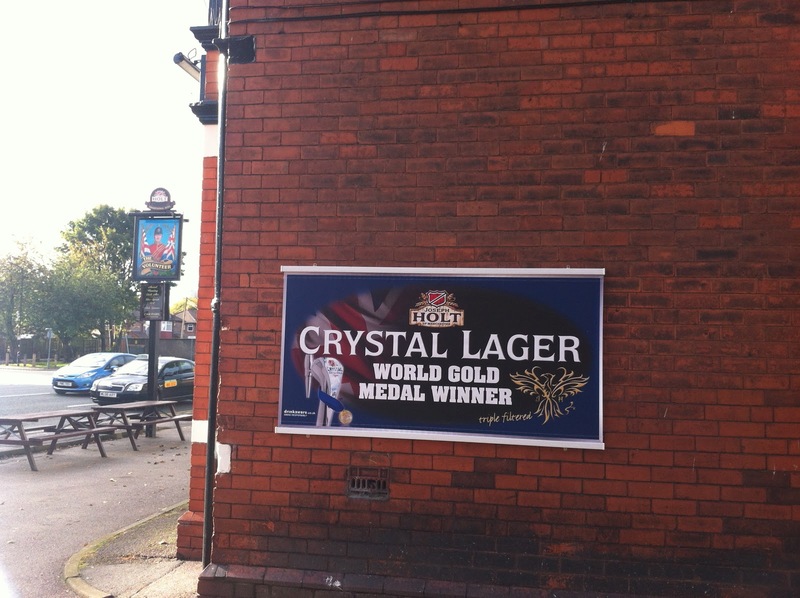 Leading Manchester independent brewer and licensed retailer Joseph Holt has installed the Exiflex signage system at nearly 50 of their pubs across the North West. Printed and fitted by Parkinsons Signs, Holt's have joined a growing number of licensed retailers who realise the quality and flexibility of Exiflex to deliver the perfect outdoor signage solution. Why not join the Exiflex revolution. For further information on how to make your external signage deliver such an impact, give us a call on 0161 976 5001or email brian.roberts@exiflex.co.uk. Leading European designer furniture manufacturer and retailer Roche Bobois chose to use Exiflex to make an impact. 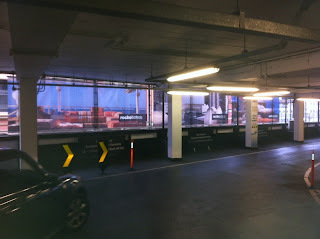 We installed 3 large, highly visible signs for them at the NCP car park in Kings Street, Manchester, which thousands of motorists will not fail to see every day. 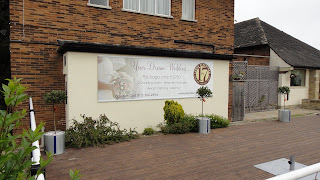 For further information on how to make your external signage make such an impact, give us a call on 0161 976 5001 or email brian.roberts@exiflex.co.uk. With the Exiflex system now in use at pubs across the North West, brewers JW Lees used the easy to change flexibility of Exiflex to the full for their Christmas Party promotion. ‘Have Your Christmas Party Here’ graphics were quickly installed on existing Exiflex sites, and then equally quickly, the message was changed back to a non-seasonal message at the end of the Christmas season, maintaining the high quality Exiflex always provides. JW Lees reported an excellent Christmas party season with Exiflex. 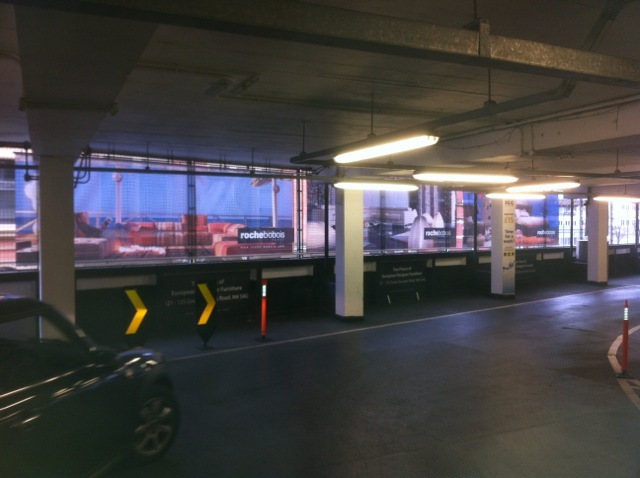 For further information on how to improve your external signage, give us a call on 0161 976 5001 or email brian.roberts@exiflex.co.uk..
Exiflex has now extended its reach to car park signage. We recently installed a 5m x 2.8m wall sign for Farrow & Ball on the 5th floor of the NCP car park in Kings Street, Manchester. 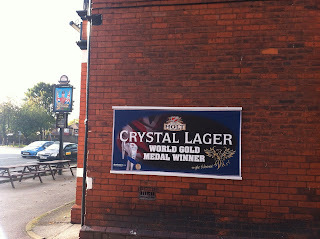 Next time you’re in Manchester be sure to take a look. For further information on how to improve your external signage, give us a call on 0161 976 5001 or email brian.roberts@exiflex.co.uk. Christmas Comes Early With Exiflex! Christmas arrived early with Exiflex this month when we fitted Christmas Party banners onto Exiflex signs at JW Lees pubs and restaurants across the north west. 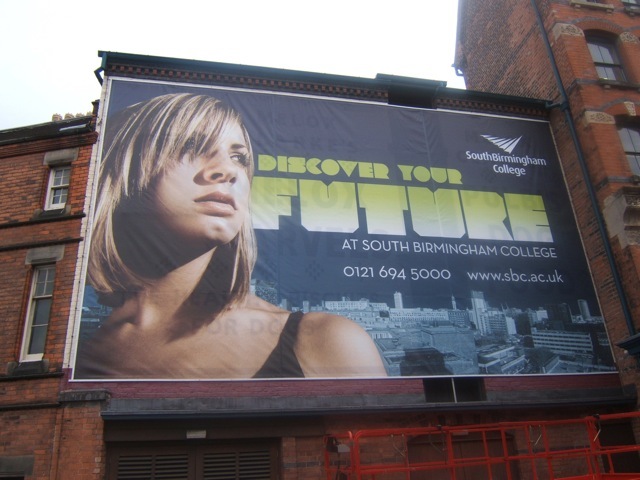 Fastsigns, Birmingham has just fitted the largest Exiflex sign to date for client South Birmingham College. The signs measures 11m x 6.6m and was fitted in a few hours by Fastsigns fitters, overseen by Exiflex. The lightweight and easy to handle track and runner system has proved it retains the highest quality, no matter what the size. For further information on how Exiflex can transform your signage, please call us on 0161 976 5001 or email brian.roberts@exiflex.co.uk. Leeds based Fastsigns has become the latest signage solutions provider to introduce the Exiflex system into its portfolio. Its restaurant customer Leeds Seventeen is so pleased with the Exiflex signage solution produced and fitted by Fastsigns it is now looking at other ways and areas in which it can use the system.